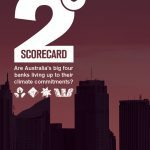 Australia’s big four banks have all publicly supported the international agreement to limit global warming to less than 2°C above pre-industrial levels. 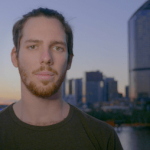 They’ve even recognised they have a role to play in the necessary transition to the low-carbon economy that’s necessary if we are to achieve the less than two degrees outcome. But talk is cheap, and the banks have so far failed to back their statements up with meaningful action to stop lending to fossil fuels. 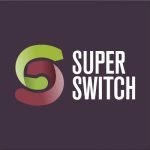 Use your power – Put your bank on notice today! In three simple steps, you can join thousands of customers working with us to ensure the banks stop funding dirty fossil fuels. What have the banks said? While this is a step in the right direction, NAB has no restrictions on lending to coal power plants or infrastructure. Nor does the bank have any policies limiting oil or gas lending. 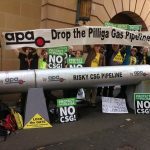 ANZ is the only one of Australia’s big banks to rule have a policy that excludes lending to any sector of the fossil fuel industry. 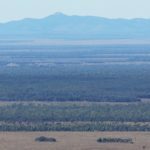 The bank has ruled out providing finance to any coal fired power plant that would emit more than 0.8 tonnes of carbon dioxide for every Megawatt of energy produced. 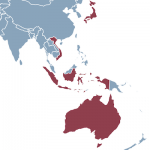 While this is a far from an ideal emissions threshold, and we would advocate for a complete ban on funding any new fossil fuel based power stations, the policy has caused ANZ to withdraw from financing a project in Vietnam. 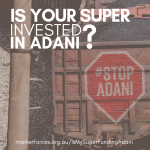 It is clear that financing the dirtiest projects is becoming more difficult, but we need strong lending policies from all our big banks to ensure no support for new dirty power stations that would lock in decades of climate-wrecking emissions. 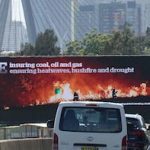 Westpac’s climate change policy update, released in April 2017, says “for new thermal coal proposals we will limit lending to any new thermal coal mines or projects (including those of existing customers) to only existing coal producing basins and where the calorific value for that mine ranks in at least the top 15% globally”. 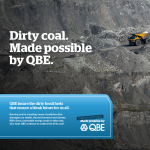 The bank also committed to: reduce the emissions intensity of its power generation portfolio; only lending to new coal power stations that reduce the overall emissions intensity of the energy grid they will operate in; and not lend to existing coal power stations for the expansion or lifetime extension purposes, unless there is a reduction in emissions intensity. On the renewable energy and energy efficiency side of things, Westpac has committed to increase lending to climate change solutions to $10 billion by 2020 and $25 billion by 2030. 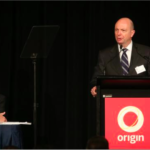 You can read our full analysis of Westpac’s climate policy update here. Let’s not kid ourselves. Two degrees means danger. The extent of impacts from climate change being felt just from 0.9ºC of global warming are bad enough. To think that we’re aiming to limit global warming to twice as much as we’ve seen since pre-industrial levels is not comforting. Many Pacific Island nations have called for a much stricter limit to warming of 1.5ºC above pre-industrial levels, as their homes and very identity are threatened by climate change and the impacts of sea-level rise. But even getting to two degrees means huge change to the world’s energy system. 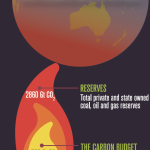 A Carbon Brief comparison of carbon budgets indicates that on current greenhouse gas emission rates, a budget to give the world a 50% chance of keeping global warming to less than two degrees would be exhausted within 28 years. If that probability is increased to somewhat safer odds of 66%, we will be on track to use up our carbon budget within 20 years. To select the most ambitious – and most desirable – target of a 66% probability of keeping global warming to less than 1.5˚C gives us barely 5 years of greenhouse gas emissions at current rates. 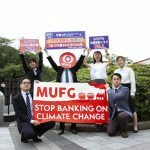 Banks are every bit as important to the effort to keep global warming to less than two degrees as governments and industry. Banks provide the finance that make projects happen and keep them going, be they based in fossil fuels or renewable energy. 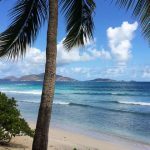 It is critical that banks are committed to keeping global warming to less than two degrees, but also that they realise meeting this goal means radical change in how they do business. 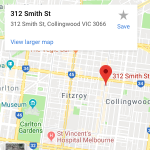 Any bank that acknowledges the importance of global warming to two degrees must also acknowledge the role they play in helping to meet that goal. A commitment to ramp up renewable energy lending to fill the gap that will be left as fossil fuels are replaced. 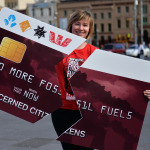 Click here to find out more about Australian banks lending to fossil fuels and take action. 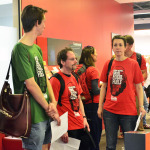 Which international banks are excluding fossil fuels? Some international banks have adopted policies that exclude or restrict lending to fossil fuels. While none of the various approaches taken presents a perfect, or even sufficient, response to the climate crisis, they provide examples of concrete steps being taken to bring lending processes into line with a less-than-2°C warming scenario. 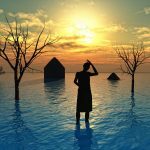 Along with a bunch of other international NGOs, our friends over at BankTack.org have released their latest Banking on Climate Change report, which studies and rates banks’ fossil fuel policies. Australia’s big banks’ policies generally rank in the bottom half of the 36 banks studied. Part of our role at Market Forces is to engage with financial institutions, encouraging and helping to facilitate the changes required to decarbonise our economy and ensure a safer climate future. We have developed a guide that sets out the imperative for the banks to act, and how these actions must translate into policy and practical changes. 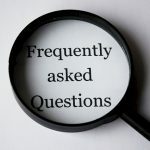 This advice, which is detailed in the sections below, has guided many of our recent interactions with the big banks and other financial institutions. Both high and low-carbon activities depend on debt and equity investment, meaning that banks are in a powerful position to influence our climate future. 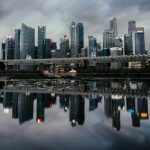 We expect governments, industries and financial institutions to act in a way that is consistent with avoiding runaway global warming, and minimising global warming as much as possible. We understand that a whole-of-institution response will require research and ongoing policy development, but we also see that the urgency of a carbon budget means that certain practical measures will need to be adopted from the outset. 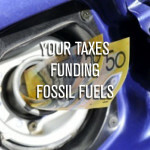 No investment or the provision of services that enables any further expansion of the fossil fuel industry. An acknowledgement that exposure to fossil fuel projects and companies will need to reduce rapidly, driven initially by an end to new investments in coal, oil and gas. A public position in favour of greater opportunities to invest in renewable energy through government policy, and a commitment to greatly enhance the provision of finance to support renewable energy projects and companies. 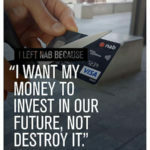 A commitment to end any financing, including refinancings, for coal projects, and a plan to end future debt investments in the oil and gas sector. 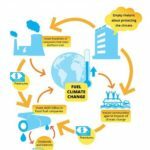 A commitment to sell down stakes in pure play fossil fuel companies and companies predominantly involved in the production, transport and combustion of fossil fuels, in line with required reductions in greenhouse gas emissions resultant from limiting global warming. 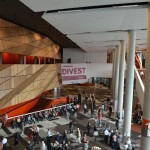 Engagement with diversified fossil fuel companies to encourage the companies to divest of their fossil fuel-related business, with a view to reducing exposure to diversified companies that fail to divest of fossil fuel-related business. Such a plan to reduce fossil fuel exposure of diversified companies should be consistent with decarbonisation trajectories in line with meeting the set carbon budget. Ongoing monitoring and disclosure of exposure to the fossil fuel sector through debt and equity investments, tracking reduced exposure over time. 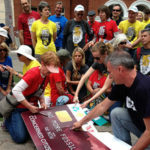 In August 2015, Market Forces joined other environment and civil society groups in writing to banks that had not made any statement at the time about the proposed Galilee Basin coal mines in Queensland, which we consider an example of projects that cannot be reconciled with any sincere commitment to avoid runaway climate change. nor any new coal-fired generation assets. 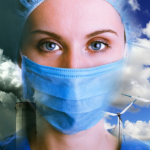 Zero coal, oil and gas exposure by 2030 at the latest. 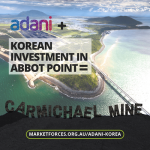 at least 50% of this investment allocated to projects within Australia. Examples exist of banks enacting policies that would, with the right targets and settings, fit within a framework of constraining global warming. Many of the examples we provide here are sourced from BankTrack. 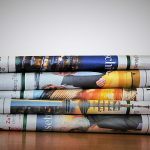 We don’t believe that these policies alone are sufficient to ensure that a financial institution is operating in a manner consistent with keeping global warming to less that 2°C, or that the thresholds and standards applied are correct. But they provide examples of policies that might be implemented as part of a bank’s 2° commitment. HSBC adopted an EPS of 550kg CO2/MWh, or 850kg CO2/MWh for coal power plants in developing countries. This would restrict some coal financing primarily in developed countries and still allow for HSBC to finance new power stations in developing countries, up to and beyond the maximum emissions intensity of latest generation coal. 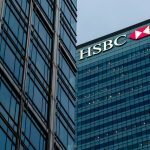 A weak point of the HSBC policy is that it only applies to projects of 500MW capacity and above. The European Investment Bank also adopted a 550kg CO2/MWh standard in 2013, but this applies globally and given support among directors for a tighter standard, may be decreased in future. 550kg CO2/MWh is considered sufficient to immediately screen out coal power and inefficient gas power. The 2015 policy from ANZ to only finance new coal power plants if their emissions intensity is less than 800kg CO2/MWh is considered very poor, given that this is the uppermost limit of emissions intensity of the latest generation of coal power technology. In any case, it is a standard that lowers the bar significantly from the European Investment Bank EPS and only applies to new coal power. The advantage of an EPS is that it sends a broad signal to the energy market, but an effective EPS will need to be complimented by with policies that also deal with other parts of the fossil fuel supply chain, and also reflect increasing ambition through a tightening of the standard over time. An EPS that allows any new build of coal power will not be considered sufficient, given the inconsistency between the assumed economic lifetime of new coal power plants (~40 years) with a carbon budget that is currently set to be exhausted in a few decades. 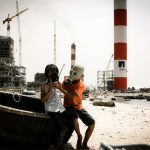 The World Bank’s decision to only finance coal-fired power stations in “rare circumstances” raised questions about how broadly that potential loophole would be applied, but it appears as though this policy has significantly reduced the bank’s lending to coal power and paved the way for others to do the same. 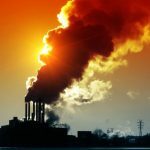 The Nordic Investment Bank has excluded lending to coal power or other projects with a similar carbon dioxide emissions intensity. 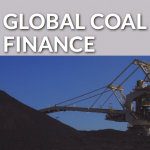 In September 2015 Credit Agricole committed to “not finance any new coal power stations or their extensions in high-income countries as defined by the World Bank” while in October 2015 Natixis announced it would cease financing thermal coal mining and coal power plants. 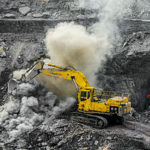 Given the incompatibility of new coal power with any, even modest, scenario of constraining global warming to less than 2˚C, a clear exclusion of further lending to the thermal coal supply chain or investments in companies heavily engaged in thermal-coal operations would be an obvious first step towards a policy response that sat within a 2˚C framework. Bank of America and Credit Agricole have both adopted policies that amount to a phase out of exposure to the coal mining sector. Bank of America’s policy was an explicit commitment that their exposure would decrease, year on year, to the sector. Credit Agricole committed to “no longer finance coal mining projects or companies specialised in this field”, essentially amounting to a phase out of exposure by attrition. In October 2015, in addition to the Natixis policy mentioned above, Citi also committed to a trend of “reducing our credit exposure to coal extraction companies”. Such policies still have not had clear timeframes or targets set for the incremental phase out of exposure to the coal sector. 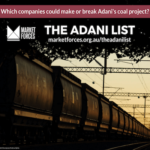 Market Forces would argue that while it is important to define these targets, in the absence of information that enables a bank to set out the incremental and overall targets for reduced exposure to coal, an announcement that exposure to the sector will necessarily reduce year on year is an important acknowledgment. 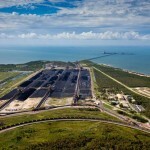 In recent years, BNP Paribas and Société Générale (SG) have been amongst the biggest financiers of coal projects around the world, including lending hundreds of millions to the industry here in Australia since 2008. 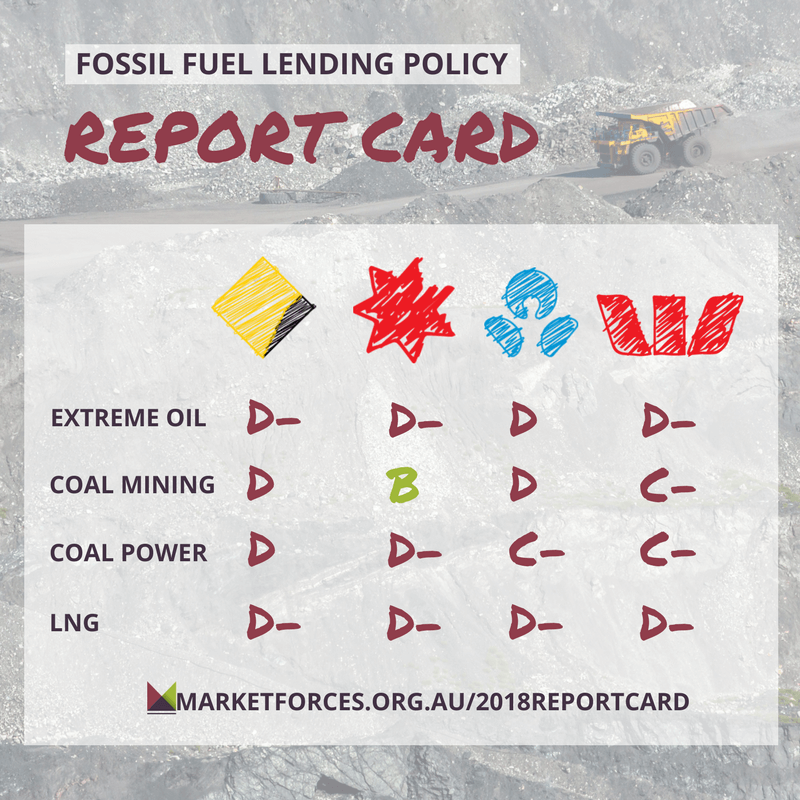 But, as reported by BankTrack, these two banks have made significant commitments, ruling out future finance for all coal mining development projects around the world, as well as coal-fired power generation in the richest countries. 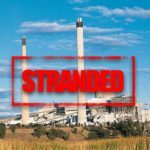 While these announcements have been criticised for being weaker than fellow French bank Natixis’ promise to stop all direct financing of coal plants, they are still a long way ahead of anything that has come out of Australia’s big four. Policies that detail specific ways of drastically reducing financed emissions, such as those made by BNP Paribas, SG and Natixis are necessary to show that banks fully understand the measures they need to take to play their part in limiting global warming. 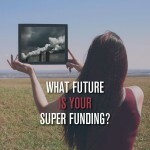 Market Forces believes that an appropriate early step for banks to take in meeting their commitments to operating in a manner consistent with keeping global warming to less than 2°C is to commit to phasing out ‘financed emissions’ – that is emissions facilitated through debt and equity investment in a project or company. This phase out needs to ensure that financed emissions are reduced to zero at a rate that is in line with decarbonisation rates required to remain within the carbon budget. A financial institution’s commitment to operate in line with less than 2°C warming will require a comprehensive set of policies. These should be as broad and complementary as possible, avoiding conflict and confusion, and enabling the institution to shift as a whole, rather than attempt to apply what is a fundamental change in how the world produces and uses energy to isolated parts of its business. 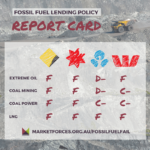 An example of how this confusion and contradictory policy development may affect a bank is if an emissions portfolio standard is set with no overall commitment to reduce overall exposure to the fossil fuel sector. This may enable the overall level of financed emissions to increase over time through the financing of, for example, new gas plants. The reverse is also true, as without an EPS exposure to fossil fuel power generation may decrease but the remaining exposure could be concentrated in high greenhouse gas emitting projects. A bank ought to send clear signals to its staff through policies that mandate reductions in financed emissions, emissions performance standards that decrease over time and overall reductions in exposure through funds management and loan books. 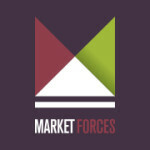 Finally, Market Forces does not consider policy work to ever be complete, as new information and better ways of guiding change will always present themselves. We have developed a page on our website that will contain as much specific policy advice as we can provide. We will continues to track and monitor banks against these policies and improve their detail and breadth over time. Policy does as much as is possible at any given moment.